Learn to identify optoelectronics components and their distinguishing characteristics and uses. Optoelectronics are components that use light to control a signal or adjust and produce resistance. If not for optoelectronics, the current, modern state of the engineering field we know today would not exist. The outdated use of CRTs would have continued, CD and DVD technology would never have existed, and high-speed isolation between circuits would prove challenging. The LDR (Light Dependent Resistor), is one of the simplest optoelectronic components to work with. Their resistance is dependent on the amount of light the sensor detects and they typically have two leads with accompanying component identifications such as LDR or R.
LDRs commonly come in two variations—through-hole and surface-mount—but they aren’t regularly used in modern designs. Oftentimes, LDRs are low-priced on the market but have the disadvantage of not meeting RoHS compliance due to containing the chemical cadmium, which is considered a hazard to those who handle it directly. The most common type of light photodiode (left) and the typical pattern of an LDR. Photodiodes are similar to LDRs, but they are diodes instead of resistors. Photodiodes are only used in reverse-bias configurations. When the light of a specific frequency (depending on the photodiode), hits the sensor, it causes the diode to briefly conduct. This results in a brief current flow and, in response, a voltage change. They also come in different varieties and are found in various devices. Remote-controlled TVs are one of the most commonly known devices that use photodiodes. Remotes contain an IR LED, which emits digital IR signals that are detected by the TV using an IR photodiode. Photodiodes are available in a wide range of package configurations, but almost always have two leads and are categorized by the component identifications D or PD. 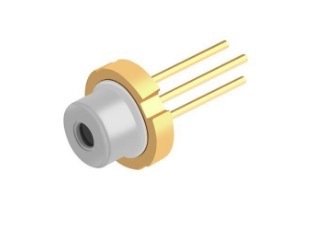 IR photodiodes are easily recognizable—thanks to their completely black packaging—whereas visible light photodiodes include clear windows in their casing. An IR photodiode, a large visible light diode, and a small visible light diode Images courtesy of Digikey and Mouser. An optoisolator is a component that consists of a photodiode and an LED in a single package. The LED is mounted so that it directly faces the photodiode and acts as the input to the optoisolator and the photodiode as the output. When the LED is turned on, the photodiode becomes conductive. Some optoisolators are completely sealed with all the parts hidden, while others expose them to block the LED light from reaching the optoisolator. Optoisolators are used to electrically isolate two circuits, which is why they ’re often found in protection circuits to prevent high voltage circuits from connecting to low voltage circuits. For example, CNC machines that use parallel ports often have optoisolators to isolate the sensitive circuits in the computer from the ESD prone motor controllers and CNC. Optoisolators come in both SMD and through-hole packages but the through-hole package is arguably the more common variety. Optoisolators often have four legs but can sometimes have six and are mostly found in DIP packages. Optoisolators have component identifications identical to ICs as they are considered integrated circuits and so are identified by either IC or U. A 4 pin DIP optoislator, internals of a 4N25, and an SMD optoislator. Images courtesy of Mouser and Vishay. LEDs (Light Emitting Diode), are the single most common optoelectronic component on the market. These components come in all shapes, sizes, and power level. IR LEDs are designed to emit IR light, red LEDs emit red light, and UV LEDs emit UV light. LEDs are very easy to identify regardless of their packaging, as they almost always have a clear-colored, transparent, package (except with IR LEDs), with a tiny piece of silicon wire attached. LEDs are available in SMD and through-hole packages but the most common are 3mm, 5mm, 5050 SMD, 2835 SMD, 3030 SMD, 3528 SMD, and 5060. A 3mm LED, an SMD LED, and an SMD LED on a PCB. Images courtesy of Mouser. Laser diodes are very similar to LEDs and may be mistaken for LEDs in some instances. However, laser diodes are often in larger cylindrical packages with metal casing. While you can find laser diodes in SMD packages, it is much more common to find them in through-hole packages due to their size and power demands. A typical pin laser diode. Image Courtesy of Mouser. 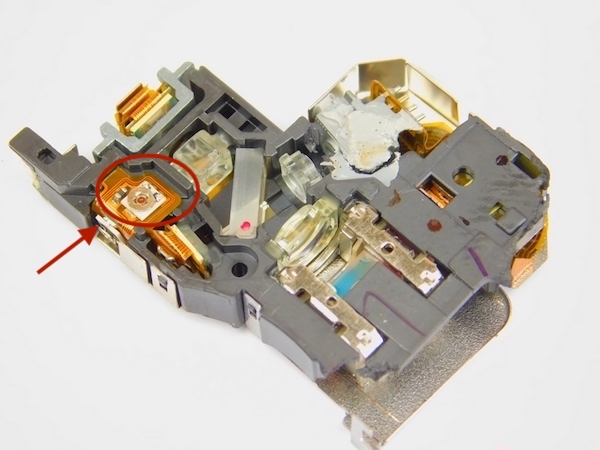 A common place to find laser diodes would be CD and DVD players, which need lasers to both read and write to discs. Laser diodes, identified as LED or simply D, may have large solid metal plates for removing excess heat, and often have three legs to ensure they’re inserted correctly. A laser diode in a USB CD drive.